We invite you to cooperation with 13th Economic Forum of Young Leaders 3nd and 7th of September 2018, Nowy Sącz, Poland. is a dynamically developing region of the solid foundations that give the opportunity for long-term economic growth. For businesses, this means a dynamic, competitive environment development. Regional authorities are trying to assist entrepreneurs in many ways. Malopolska Region attaches particular importance to the promotion of talented young people and develop their interests, while creating active citizenship based on the principles of democracy, freedom and justice. is a stable company with long-standing tradition. It offers simple and comprehensible insurance products aimed at safeguarding the financial future of its clients and their families. The company is running intense activities in the fields of preventive healthcare and improvement of the quality of Poles' lives, including financial collateral of the pension future. Not only does Nationale-Nederlanden General Pension Company offer financial products allowing long-term saving and maintaining a proper level of life after retiring, but the company is also regularly monitoring market environment and Poles' attitudes. As a result, the it is able to tailor its offer best to the clients' needs. We invite you to read the latest Ecorys report "Changes in the Labour Market Versus Stability of the Pension Scheme in Poland" (http://ecorys.pl/raporty/rynek%20pracy.pdf)..
– the laureate of the Polish Promotional Emblem "Teraz Polska" in the municipality category, in the 19th contest of the competition, the 3rd contest for local governments. Nowy Sącz, the seat of an urban district authority (poviat) is also the administration centre of subsidiary state agencies and institutions for Nowy Sącz rural district and neighbouring districts as well. Education is one of its main advantages. The town's hallmark is the College of Business (WSB-NLU). The town authorities are the founders of the State Vocational College (PWSZ). PKN ORLEN is a modern player on the fuel and energy market, the largest company from Central and Eastern Europe, and the only Polish name among the prestigious Fortune 500. In line with our strategy, we aim to build a leading position in the region around the upstream, downstream and retail businesses. We operate six refineries and the region's largest network of nearly 2,700 modern service stations located in Poland, the Czech Republic, Germany and Lithuania. One of our priorities is to explore for and extract hydrocarbons. The recent acquisition of oil and gas production companies from North America has brought PKN ORLEN's own 2P reserves to 97 million boe. We are also a leading producer of petrochemicals and, in an effort to develop our own power generation segment, we are building two CCGT units in Płock and Włocławek. Once the projects are completed, the capacity of the ORLEN Group's cogeneration assets will come close to 1.5 GWe. 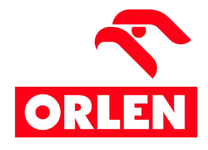 Valued at over PLN 4.5bn, ORLEN has for years topped the list of Poland's most valuable brands. Furthermore, it is the region's only company to have been named The Most Ethical Company of 2014, 2015 and 2016 by the US Ethisphere Institute. A sector project Bankers for Education is an answer of the banking sector to the real needs of Polish society in terms of economic education and security in the cyberspace. Effective realisation of economic education requires wide variety of activities supported by financial market institutions, public institutions, non-governamental organisations, media and local authorities which are the most familiar with Polish society’s everyday life. Aims: Raising economic and financial awareness of the citizens. Preparing clients to conscious and rational use of financial products. Improving knowledge about cybersecurity and shaping Poles’ attitudes in the field of cybersecurity in the face of electronic economy and modern methods of payment. Educating users of financial products in the field of skillful and safe use of modern digital tools. Shaping image of modern, professional and socially responsible financial sector. 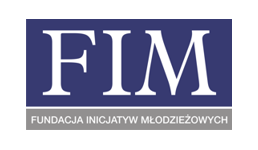 Sector Council for the Competences of Financial Sector was initiated by partnership between Warsaw Banking Institute, Polish Bank Association and Polish Insurance Board. The council gathers representatives of banks, insurance companies, and other financial institutions’ professional associations, inter-trade organisations, social partners, training companies, universities. The council’s actions will rely on of the sector’s achievements in the field of qualification standards and Sector Frames of Qualifications of the Banking Sector. The council’s activities will be concetrated on supporting solutions aiming to adjusting workers’ competences to the needs of the quickly evolving financial services. Amati & Associates is a boutique development consulting firm based in Warsaw and with the offices in Barcelona and Amsterdam. Amati & Associates, which has been operating in Poland since 2012, helps clients flourish through the development of unique innovative ideas, strengthening and making more meaningful brands, or planning for international growth. 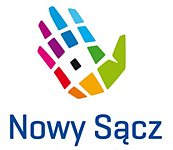 Student Parliament of Republic of Poland – a nationwide commission of all the student self-governments. According to the Higher Education Act it represents the student environment before the governing bodies of Poland and formulates opinions on acts of legislation which concern students. Parliament’s representatives participate in the work of the public authorities’ governing bodies, Commissions of the Polish Sejm and Senat. 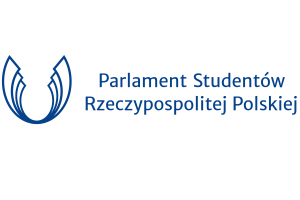 Student Parliament of Republic of Poland is the sole representative of Poland in the European Student’s Union. Youth Initiatives Foundation was initiated by a group of young people from academic and scout environments who needed additional tools for wider variety of social and public activities. The main aim of the Foundation is integration of these environments and building cooperation areas between them. Among elementary aims of the Foundation one can find educational activities in the public space with respect to patriotism and history of Poland and promotion of active citizenship and social values. Foundation takes the initiatives and reaches school and academic youth integrating and engaging the youngsters in its actions. 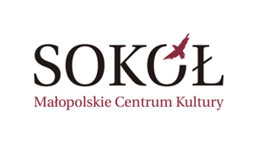 is a cultural institution under the local authorities of Małopolska Province. Its activity comprises the protection and promotion of cultural heritage as well as the development of cultural competence and stimulation of active participation in culture. 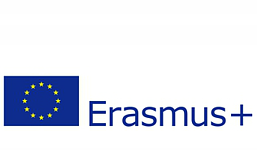 Erasmus + was estabilished in 1978 as an exchange programme for students. Although its extent and aims have been developed, the main idea remains the same: to develop international cooperation between universities. Its name refers to Erasmus of Rotterdam who was a Dutch theologian, philosopher and humanist. Erasmus like other prominent people of the Renaissance, studied in many universities in different countries of Europe, his views on education were permeated with deep humanism. Erasmus is a programme for universities, their students as well as employees. It supports international cooperation between universities, enables students to go abroad and study there, promotes mobility of students and employees of universities, creates opportunities to take part in projects together with foreign partners. Furthermore, other institutions, organisations and companies, that cooperate with universities, may take part in some of its actions. Poland has participated in the Erasmus programme from 1998/99. In the period of 1995–2006 Erasmus was part of the Socrates programme and from 2007/08 Erasmus is a part of The Lifelong Learning Programme – EU programme for education and professional development planned for period 2007 – 2013. Novartis is one of the biggest producers of the innovative, bio-like and ophthalmic pharmaceuticals as well as the cheaper substitutes of the wide-used medicines. Its products are available in over 180 countries. The number of patients who made use of the Novartis’ therapies reached 1 billion in 2015. Novartis employs 123 000 people of 144 nationalities worldwide. 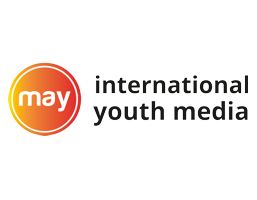 MaY is an international organization run by young people in many countries around the world, aiming to develop responsible leadership, dialogue and positive communication with no borders. The MaY brand connects people from all over the world to joint action and development through the MaY social platform, educational points system, and local branches. The organization also develops its own media, primarily by young people in 10 languages in the member countries, and also creates professional services for businesses, individual clients and users. 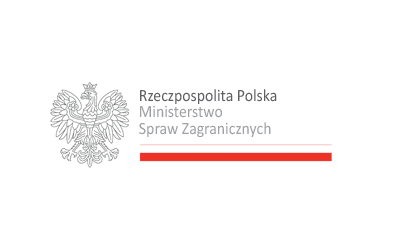 Ministry of Foreign Affairs – department responsible for shaping and conducting the foreign affairs of Republic of Poland. The Ministry’s tasks are: representing and protecting the interests of Poland and its citizens (diplomacy); maintaning good relations of Poland with other countries and international organisations; cooperation with Polish diaspora; promoting Republic of Poland and Polish language; setting and managing diplomatic missions and consulates; management of the government department foreign affairs, services for Committee for European Affairs. Ministry of Science and Higher Education – an office created in Poland on 5th of May 2006 to service Minister of Science and Higher Education. Minister of Science and Higher Education administrates the government departments science and higher education and disposes of a budget for scientific research financed by the country. 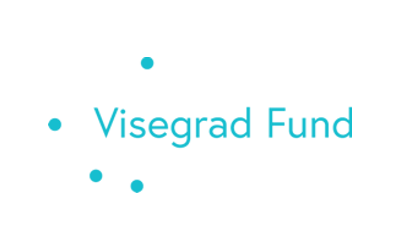 There is an operating Science Council to the Minister, created in place of Scientific Research Committee which was removed in 2005.
International Visegrad Fund – IVF was created in 2000 by the Charter signed by prime ministers of the V4 countries and it is the sole institutionalised form of the Visegrad cooperation. It has got a status of an international organisation which Secretariat is located in Bratislava. 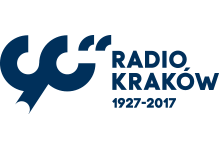 Main tasks of the Fund are: building a common identity of the Visegrad nations, intensification of intercommunication and also supporting the cultural, scientific, educational, artistic and touristic cooperation and the youth exchanges. IVF conducts the grant programmes, scholarship programmes addressed to the artistic environment and programme of the University grants. A special programme for cooperation with countries of Eastern Partnership was created in 2012, so called V4EaP (Visegrad for Eastern Partnership). since 2004 realizes philanthropic activities of the PZU Group, which is part of its strategy of social commitment. 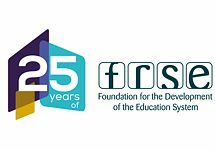 The aim of the Foundation is: to promote the education of children and youth, supporting talents and equalization of opportunities for disabled people for various reasons, as well as increasing access to cultural possessions and social life, that is widely understood development of civil society. “We help help” - is our motto. We realize it by supporting strategic areas for us: education, social care and social assistance, health care, culture and the arts. We cooperate with NGOs – both in Poland and abroad, institutions, sport clubs, schools and universities, by supporting substantial, organizational and financial project implementation. Supports friendly relations between the Poles and the Germans. For the last 20 years, the Foundation for Polish-German Cooperation has co-financed over 15 000 bilateral projects, thereby contributing to the foundations of Polish-German dialogue. The main goal of the Foundation is the support of valuable Polish-German cooperation. 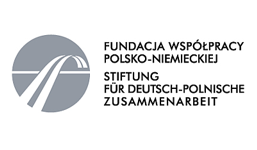 The Foundation in particular supports partnerships between Polish and German institutions, educational projects that propagate knowledge of Poland and Germany and of the Polish and German languages, scientific cooperation, and artistic and literary projects. was founded in July 2010 and draws inspiration from its motto: “The Good earns interest”. The Foundation supports areas which are crucial for the development of Poland and forms strategic partnerships with Polish non-government organisations. Moreover, the Foundation allows the employees of the Bank to engage in social activities. There are three levels of projects carried out by the Foundation: strategic, local and individual. which takes place in Nowy Sącz in Poland since 2006.